Two separate reports have emerged this week concerning bottles attacking the human nearest them on three separate occasions, and you know what they say: One bottle-attack might be random, two might be a coincidence, but three is a global bottle conspiracy. To be clear, these are all legitimate and serious injuries, and in two of the three cases, it sounds as though the brand responsible for those bottles is investigating the reasons behind the incidents. First, the Daily Mail reports that Lachtman Ramnanan was celebrating with his family on Father’s Day when he heard a popping sound and then felt pain in his eye. The source: flying shards of glass from a Corona beer bottle, which exploded as he was loading it into a cooler. He was then rushed to the emergency room, where he received nine stitches in his eye; he has since undergone two additional surgeries. His full vision has not yet returned, and it’s unclear if it ever will. Secondly, Gonzalo Luis-Morales, a waiter in Manhattan, was also struck in the eye with glass from an exploding Corona bottle. He was loading the bottles into an ice bucket when one burst, leaving him blind in one eye. Luis-Morales said he’s already undergone two eye surgeries and needs a third in hopes of restoring his vision to at least 20 per cent. 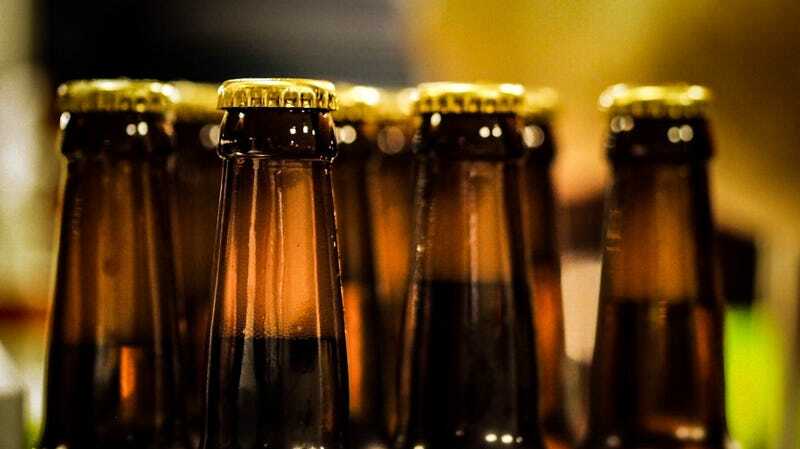 Luis-Morales is suing Corona brewer Constellation Brands Inc., bottle manufacturer Owens-Illinois Inc. and distributor Manhattan Beer for negligence. He told Telemundo that none of the companies have contacted him. Constellation Brands Inc., the company behind Corona, said in a statement that the incidents are being investigated. And then there’s number three: Metro reports that a Chinese university student nearly lost his thumb when a plastic Coca Cola bottle exploded while he was holding it in his hand. The bottle “erupted and sliced him open when he tried to unscrew the cap.” Now, a quick note on this one: 20-year-old Xiao Yuan had put the bottle of Coke in the freezer; when retrieving it from the freezer, he dropped it. Then he picked it up and opened it. That’s not a great idea, but you expect a shaken-up bottle of Coke to just shoot corn syrup liquid everywhere, not nearly lose you your thumb. Be careful with out there, folks.